It's the 7th and time for a new challenge over on the 7 Kids Customers Create Facebook page, thus the special Saturday post from me. For the next two weeks the theme will be "ocean". 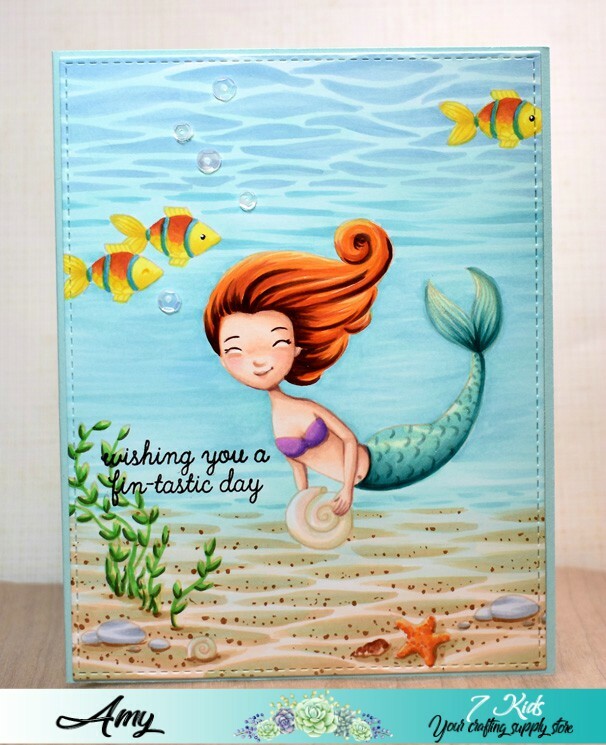 Nothing says summer quite like a day at the sea shore so I can't think of better inspiration for cards made during this time of year. And the beauty is you can go light and bright like a sunny day out on the water or dark and mysterious like a stormy sea. 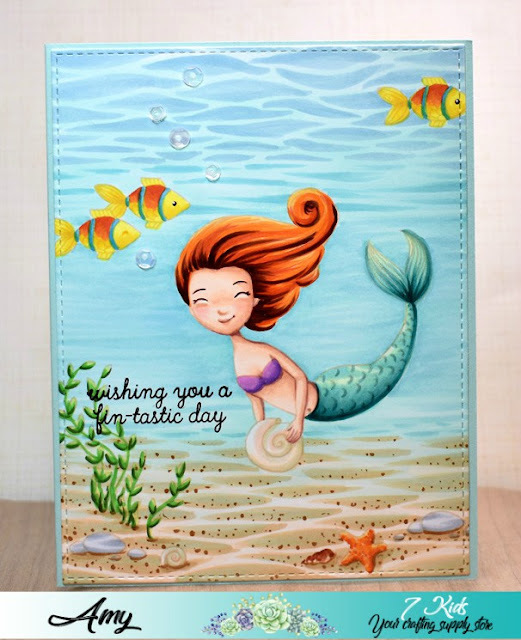 For my card I inked up another mermaid from the Under the Sea set by Honey Bee Stamps along with a bunch of the little scene builders that made it super easy to decorate the ocean floor. I kept things bright and happy with my Copic colors to match the joyful look on this sweet mermaid's face. Ok, now it's your turn to create something for our "OCEAN" themed challenge. As always there is a $20 gift certificate to the 7 Kids store up for grabs and the new seasonal stamps and goodies will be starting to arrive soon so check it out! What a beautiful card. It makes me want to jump in with her, lol. Hugs.